Over the past years, first-time homebuyers may have shied away from entering the real estate industry because of stagnant debt and wages, but times have changed. According to First-Time Home Buyer Pulse of TD Bank, one in five clients is actively looking to purchase his or her first home, and 46 percent of millennials will be looking in the next 1-2 years. When you are purchasing a home for the first time, it is very easy to get excited about the future and eventually lose sight of some essential things which should be considered. If you are a first-time buyer, the simple thought of securing the mortgage may be quite overwhelming. 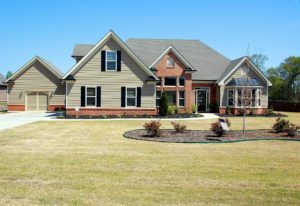 For many people, a home is the biggest purchase they will make, and very few can take on this property without a loan. Everyone’s dream home is different. All preparations of knowing the right price range, finding the best neighborhood, and having a clear picture of the house wanted now come together in choosing the best home. Even if you think you are years away from purchasing your first home, try to start saving for your down payment. Often, the down payment presents the greatest obstacle to homeownership for many buyers, particularly first-time buyers. It makes a big difference in your monthly payments and assists to avoid paying Private Mortgage Insurance. Many mortgage lenders need cash down payment of 5%, 10%, or 20% of the sale price. Today, buyers may find it hard to save for a huge down payment, particularly young adults saddled with significant student loan debt. Traditionally, consumers who were unable to put 20 percent down had to pay an extra $100 to $200 a month to their mortgage lender for the private mortgage insurance (PMI). The great news is, today several lenders are providing down payment assistance and home affordability programs. Before applying for any mortgage -or any other type of loan –it is helpful to know your credit standing. By law, you can get one free copy of your credit report each year. Mortgage lenders usually evaluate your credit using a FICO scoring model. The FICO model scoring ranges between 300 and 850. In general, the higher your credit score, the better loan for which you will qualify. When you get your credit report, ensure to review it for omissions and errors. If you identify something wrong, dispute it. It’ll start the process of eliminating the error from your record and may also boost your credit score. While it is possible to look for homes using internet websites devoted to real estate, you can offer yourself an immediate advantage by seeking the services of a professional. Real estate agents have more up-to-date and in-depth knowledge of the communities and the real estate markets which you are considering. Why hire a real estate expert? Because, if you are like many first-time buyers, purchasing a home is the most costly purchase you will make in their lifetime. Also, the process of purchasing a home can be complex. Unlike purchasing a car, laws which affect home buying change each year and differ from one state to another. Real estate agents are always required to stay updated on the various laws and regulations. Moreover, real estate agents can assist point out faults or features with a property which may otherwise go unnoticed. A real estate agent can negotiate better sales or contract terms, and provide greater knowledge of search places. There are some ways to identify a reliable real estate professional. As with many service providers, nothing beats a recommendation from someone you know and trust. Perhaps, the most essential aspect of buying a home is to understand a mortgage and the entire home-financing process fully. Take advantage of the educational courses provided by local government programs and financial institutions. In fact, some banks provide a First-Time Home Buyer Seminar series which addresses all aspects of the home loan—beginning with helping the buyers decide if they are truly ready to own a home. On top of that, the seminars share essential information on the criteria which mortgage lenders use to evaluate a borrower, what every portion of the mortgage payment goes toward, the documentation each buyer will have to provide, and the mortgage team which processes and approves a loan. These seminars are vital tools and provide valuable background for all borrowers who’re overwhelmed or daunted by the process. Several buyers will find themselves settling on a home which needs upgrades or renovations due to the current low inventory of the affordable homes for the first-time buyers. These costs need to be factored in at the beginning of the financing process so that buyers are comfortable with their monthly payment and down payment and will have cash available to make the necessary improvements. For buyers who haven’t lived on their own or for those who initially rented, the extra costs of running a household can be a shock. Homeowner’s association fees, monthly expenses for utilities, Internet, and cable, can add up quickly. Factoring these costs in at the start of mortgage financing process can help any borrower assess their entire budget properly. And our final Realtor.com commercial. Love these ads! Contact me today if you are looking to purchase a home in the Washington DC area. I specialize in helping buyers find a variety of homes including condos, townhomes, single family homes and luxury home buying in Washington, DC.